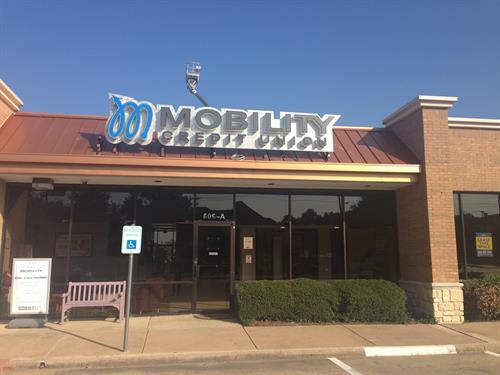 For 50 years, MOBILITY Credit Union has served members in the Dallas Ft Worth and Houston areas. With more than 11,000 members and $170 million in assets, we work hard to provide the lowest auto, home and credit card rates available. We offer savings and checking accounts that are market comparable, keeping the safety and security of your accounts first and foremost. 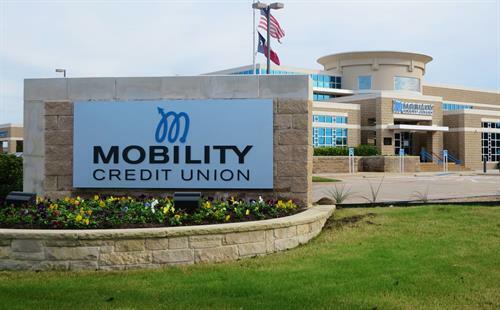 You will discover new ways to benefit from products and services that Mobility Credit Union has to offer. We have something for your entire family. Located at the corner of Belt Line Rd and Regent. Across the street from Racetrack Gas Station and McAlisters Deli.